The iconic Harvey's Point hotel in Donegal has been sold, three decades since it first opened its doors. 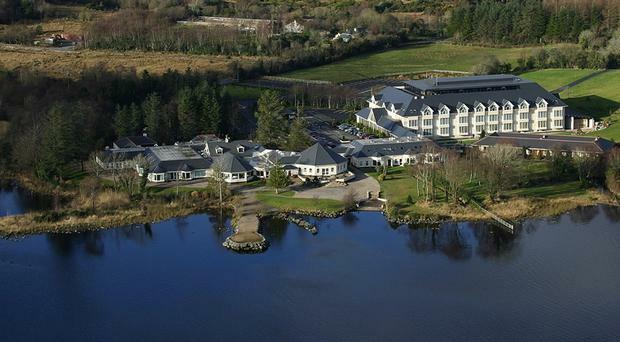 Situated on the shores of Lough Eske at the foot of the Blue Stack Mountains, the 77-bedroom hotel has won numerous awards, including being named TripAdvisor's "No 1 Hotel in Ireland" for six of the past seven years. The business has been sold to a fund managed by Davy Real Estate, who will continue to invest in the hotel. Davy Real Estate have investments in several hotels across the Republic of Ireland, including the Aghadoe Heights Hotel and Spa in Killarney and the Fitzwilton Hotel in Waterford City. Owners Deirdre McGlone and Marc Gysling said running the hotel has been an "amazing journey", but now they want to hand over the reigns in order to spend more time with their three children. "We have spent an immensely enjoyable 30 years at Harvey’s Point and it has been an amazing journey. 2019 is a milestone year for the hotel and a year of celebrations is planned," Deirdre McGlone said. "However, the time has come for someone else to write the next chapter of the Harvey’s Point story. This is an exciting new chapter for the hotel and the planned investment is great news for Donegal and the North West." Marc Gysling said the new owner has "exciting plans" for expanding the hotel alongside the current staff. "So, while there is a change of ownership, there will be no change with the overall experience that people have come to love at Harvey’s Point," he said. The four-star hotel has developed a reputation for being a popular destination for weddings and conferences and has been ranked as the twelfth best hotel in Europe by Tripadvisor.